The Road to Citizenship: The IIUSA , EB-5 Pro, and the EB-5 Visa Program | The Law Offices of Yuri Tsyganov, P.L. The US is going through a significant amount of growing pains. The EB-5 Visa Program is, however, a bright spot in both immigration policy and economic recovery. EB-5 Visa is a policy that allows entrepreneurial internationals to invest in US job growth with the opportunity to receive a Visa, a green card, and even citizenship within five years. The IIUSA, or the Association to Invest in the USA, is dedicated to drawing in investors from around the globe to the US. As major advocates of the EB-5 program, the IIUSA strives to keep the program alive as well as to open and maintain Regional Centers. Regional Centers make up around 95 percent of all money that the program produces. The money gleaned each year from the program is no small amount. Approximately $2 billion will be raised this year thanks to the success of the program. Although there is a limit on visa issues allowable for the program each year, the number has not yet been reached. This program provides a road to citizenship in the US for job creators. As the program grows, those navigating the visa opportunities are increasingly in need of advisement. Businesses such as EB-5 Pro are completely focused on getting the right paperwork filled out properly, and in a timely manner. With so much money at stake, individuals find that it pays to be extremely careful and detail oriented. Understanding the costs involved, applying through the right avenues, and avoiding needs for amendments is essential in the venture to obtain an EB-5 Visa. Services that understand how to navigate the different application options are experienced in their fields. Even consulting someone for investment advice and counseling is advisable. The EB-5 Visa program is seeing year after year growth and success. It is likely that this growth will eventually make the program quite competitive. For the time being, however, there are still a large number of visa slots available, providing those who go through the right channels with a Road to Citizenship in the United States of America. 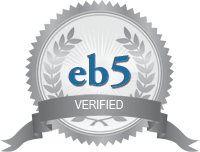 If you need quality EB-5 Visa assistance, contact us right now.